The cerebral cortex is the layer of the neuronal tissue referred to as gray matter, which is positioned along the outer surface of the cerebral hemispheres. The cerebral cortex consists of folded bulges called gyri that create deep furrows called sulci. It encompasses approximatelly 2/3 of the brain mass and lies over and around most of the structures of the brain. It is the most highly developed part of the human brain and is responsible for thinking, perceiving, generating and understanding language. 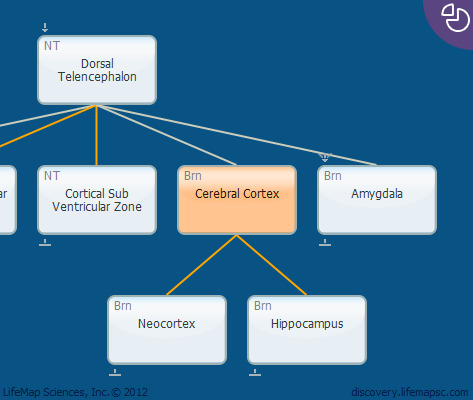 The cerebral cortex contains the neocortex, which is made up of six horizontal layers of neurons, and the hippocampus.